It is important to dress appropriately in the workplace. In all levels of professional situations, it is best to wear the proper attire. From restaurant and retail work to corporate offices and trade shows, and even in casual offices and on "casual Fridays" one's appearance should never be sloppy. From polo shirts to button-downs, each style creates a different professional look. The polo shirt is also known as a golf shirt or tennis shirt. It is a collared shirt with a quarter-length button-down placket, most often with either two or three buttons. These shirts have evolved from the earliest versions of tennis shirts. Polo shirts are worn in numerous work settings with a semi-professional dress code. These could include casual offices, retail stores, restaurants, outdoors, and etcetera. Polo shirts can be worn alone, or as a layer under a sweater or casual blazer. These added layers offer different levels of professionalism and comfort. Logos can be applied to the polo shirts, usually to the left side of the chest, to advertise and further brand a company or organization. Common types of logo applications are embroidery and screen printing. Branded polo shirts are often used in business as well as for school uniforms. A pique knit is common among polo shirts. This knitting method creates a very fine waffle-like weave. The textured surface is an added dimension for the professional look. The Devon & Jones D100 Men's Pima Pique Short-Sleeve Polo is a great 100% cotton option with the pique knit. The Peruvian Pima Cotton used to knit this shirt is the world's softest and most durable cotton. It has a three-button placket and rib knit cuffs. 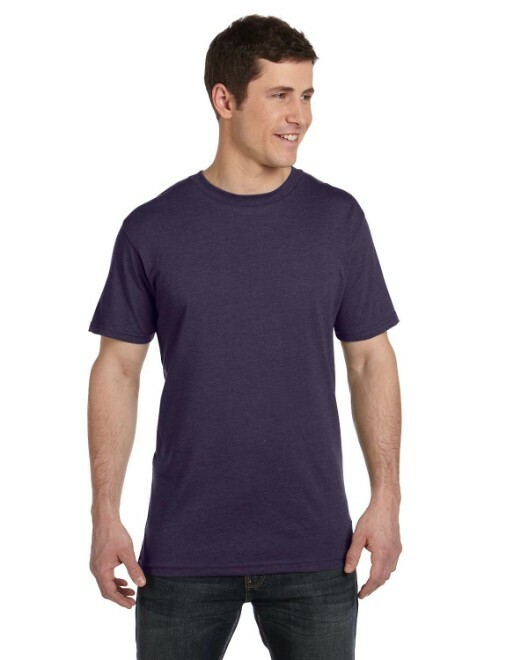 Available in twenty-four colors and nine sizes ranging from S-6XL, this shirt is perfect as corporate office wear as well as outfitting a sales team in a restaurant or at a trade show. The Devon & Jones D100W Women's Pima Pique Short-Sleeve Polo is the same multi-faceted shirt, but with a better fit for a woman. It is available in twenty-five colors and six sizes ranging from S-3XL. The Devon & Jones D110 Men's Pima Pique and the Devon & Jones D110W Women's Pima Pique are the same breathable and comfortable fabric with long-sleeves. For those who prefer a blended fabric, uniform blended and uniform performance polo shirts make smart options. The Harriton Men's 5.6 oz. 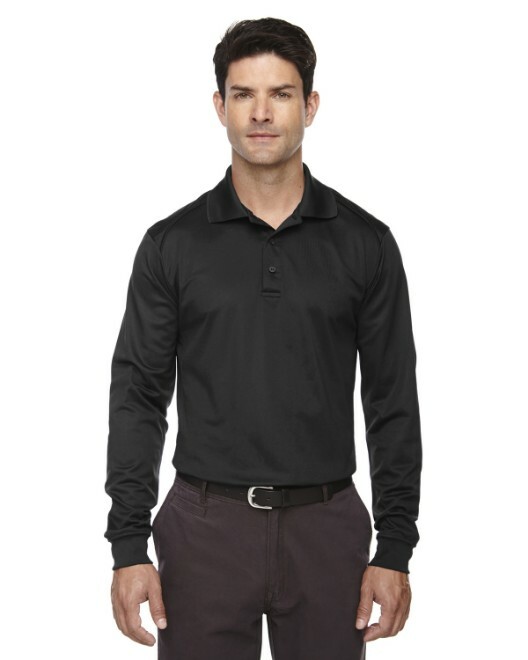 Easy Blend Polo M265 is a lightweight cool dry fabric of 65% cotton and 35% polyester. Its moisture wicking properties move moisture from the skin to the surface of the fabric where it is able to dry. 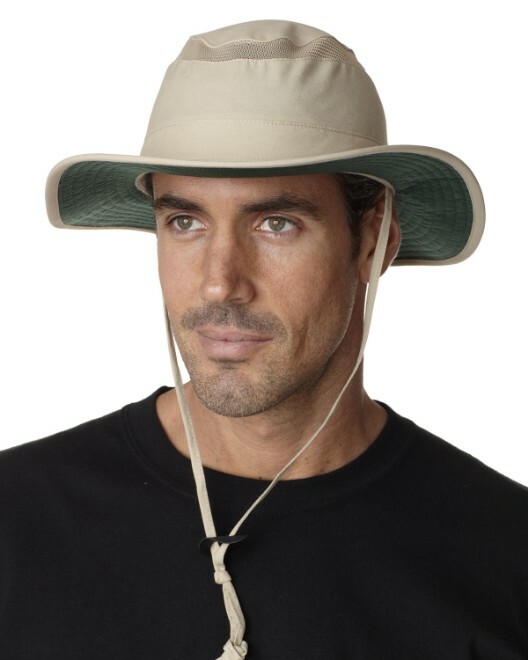 This allows for the most coverage for outdoor work activities as well as indoor work. It is available in twelve colors and six sizes ranging from S-3XL. The same excellent shirt is available with a women's fit as the Outer Banks OB31 Women's Ultimate Performance Polo. Available in thirteen colors and six sizes ranging from S-3XL, it is a smart choice to outfit a whole team with a professional look for many types of work. The 100% polyester performance polo shirts are the finest choice for work that is physically demanding and still requires a professional appearance. The tidy and professional look that can be maintained with moisture-wicking fabric is best for a group of workers. The Harriton M315 Men's Polytech Polo not only has quick-drying properties, but it also offers SPF 50 protection, anti-microbial properties, and anti-static properties. The antimicrobial addition is an odor resistant precaution for the cleanest and most professional overall appearance. It is available in a variety of twelve colors and ten sizes ranging from XS-6XL. The Harriton M315W Women's Polytech Polo is the same dynamic shirt with a fit for a woman. It is available in twelve colors and five sizes ranging from S-2XL. Situations for such rugged yet stylish performance polo shirts include but are not limited to organized athletics, corporate outings, camps, and landscaping. Dress shirts are most often full button-down with a collar and professional knit such as oxford or twill. Oxford is a fine, lightweight woven cotton or blend, and twill is woven into micro diagonal ribs that create a soft and smooth finish. Dress shirts can be worn in any professional or semi-professional setting. They are best as casual corporate office or travel wear, retail uniforms, restaurant uniforms, service industry uniforms, and for salespeople. Logos can also be applied to dress shirts. As with polo shirts, they can be embroidered or screen printed, usually on the left side of the chest. Dress shirts often have a pocket on the left side, and it is perfectly professional to apply the logo to the pocket. Oxford is the lightweight option with a lustrous weave. The Chestnut Hill CH580 Men's Performance Plus Oxford is a basic, very professional looking oxford shirt. It is 100% cotton, allowing for extra breathability. The Chestnut Hill CH580W Ladies' Performance Plus Oxford has all of the same qualities and is tailored for a professional woman. Twill is another vibrant dress shirt fabric. With comfort and durability, it is hard to go wrong with a twill dress shirt. The Harriton M500 Men's Twill Shirt with Stain-Release is a basic option with a lot to offer. 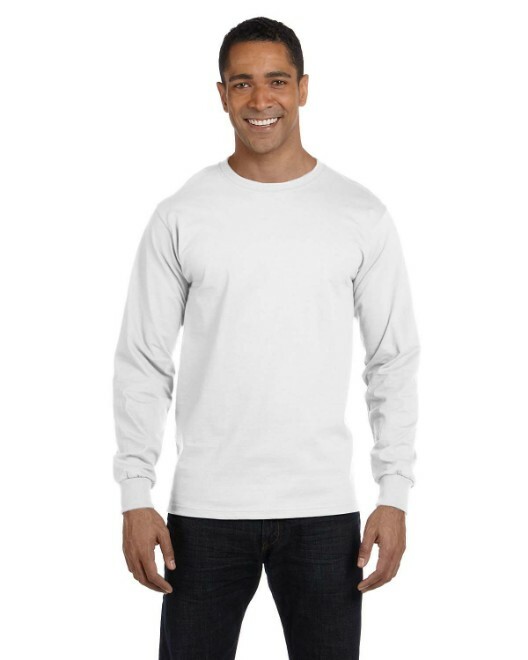 It is 55% cotton, 45% polyester blend with added stain release. The stain release guarantees this dress shirt will always look fresh and new. 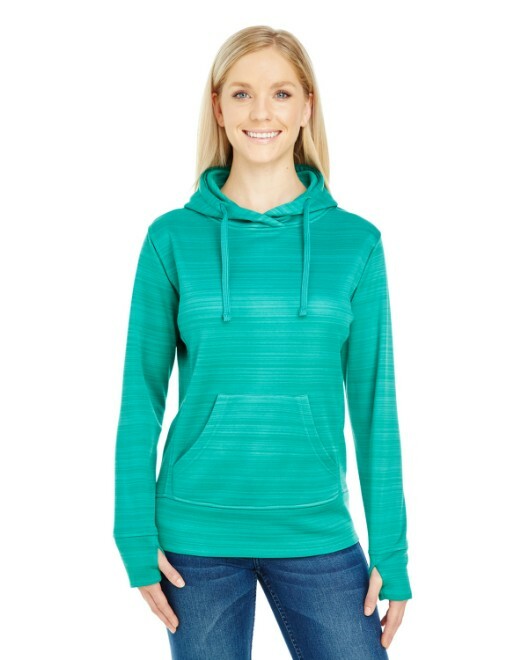 It is available in a variety of fourteen colors and nine sizes ranging from S-6XL. 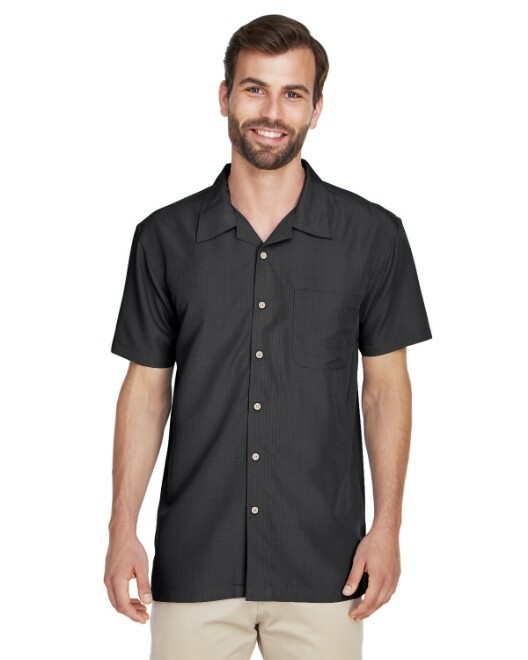 The Harriton M500S Men's Twill Shirt with Stain-Release is the same formal shirt with short sleeves: available in six colors and seven sizes ranging from S-4XL. The Harriton M500W Women's Twill Shirt with Stain-Release is the same great long sleeve shirt made with a fit for a woman. It is available in fifteen colors and six sizes ranging from S-3XL. The special attributes of this shirt are perfect for all lines of professional and semi-professional work, especially traveling business people for its low maintenance and restaurant staff for its stain resistance. Be sure to browse through the Cardigans and Sweaters section of the site for added style. Not only is it important to dress for the work, but it is especially important to choose the right apparel for a professional look. Whether it is outfitting oneself or a team, remember that other people respond best to a clean look. Professionalism in apparel choices will go a long way for a business and others looking to make a positive lasting impression.